Wear “blue” on April 2 in support of Autism Awareness. Go to Light it Up Blue for more info. Teaching children with autism is an awesome experience! True, it is challenging and sometimes puzzling (thus the “puzzle piece”), but it is so rewarding to work with these precious children. Being able to connect with them, to encourage their language development and then see them using language on their own in the classroom and at home without any prompting makes me, those I work with, and their parents want to celebrate. We are so happy at each milestone, no matter how small. If you have ever been around children with autism, you will probably notice their lack of communication skills and lack of eye contact. Usually, that doesn’t mean they don’t want to connect with you. It just means that you need to learn how to connect with them! And I fully believe it is worth every effort! It is estimated that approximately one million U.S. children and teens are affected by autism. Boys are five times more likely to have autism than girls. There is a lot of debate about what causes autism, and no one knows for sure. It is definitely puzzling! A few people with autism have shared more than any research has ever revealed. Temple Grandin has given tremendous insight into autism. There is a wonderful movie about her life, “Temple Grandin,” which won seven Emmy Awards and gives the viewer a window into the mind of Grandin. I’ve watched it four times and want to see it again. Even my husband, our college-age son, and my mother-in-law really liked it. My husband ranked it as one of the best movies he’s seen. I highly recommend it! Also, there is a fairly new book, I Am in Here: The Journey of a Child with Autism Who Cannot Speak but Finds Her Voice , which was released October 2011 and gives great insight into a young girl with autism. Speaking through poetry she has written, Elizabeth has typed her thoughts which were not sharable by audible words. These valuable insights are a great blessing! In the job market today, it takes thinking out of the box sometimes. Some people who have degrees are having to go back to school and get training in another field. There are all types of certifications out there that can aid in getting jobs such as strength and conditioning certification, etc. For a teacher, getting ESL or Gifted & Talented certification might help in the job market. If that’s what it takes to get a good job then it’s worth getting the certification. If you are looking to expand your knowledge in accounting, finance and human resources then you may wish to consider an Organizational Management Degree Online from Lubbock Christian University (LCU). You will also increase knowledge and skills in professional communication, social responsibility and ethics, research techniques and much more. Get your degree online from LCU, a Christian-based university that is fully accredited and well trusted since 1957. When you’re thinking about Christmas gifts this year, think out-of-the-box. What about giving someone you love a gift that will help them with their struggle to learn. 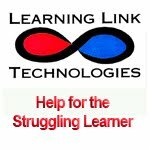 If you have a child in your family who is really struggling, do your research and check out Learning Link Technologies. Read their testimonials and see if you think they could help someone you love. Free tests for dyslexia, dyscalculia, and dysgraphia are on their site. Constitution Day is required by Federal law to be celebrated by all publicly funded educational institutions, so if you’re a teacher in a public school then you have probably already made your lesson plans. If you’re looking for some last minute ideas, check out Constitution Day at How To Teach Kids.info for an assortment of ideas. Are you familiar with WordWorld? 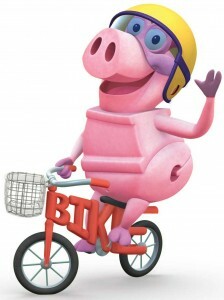 If not, check it out and see if you agree with me that it is one of the best educational TV shows available for children. 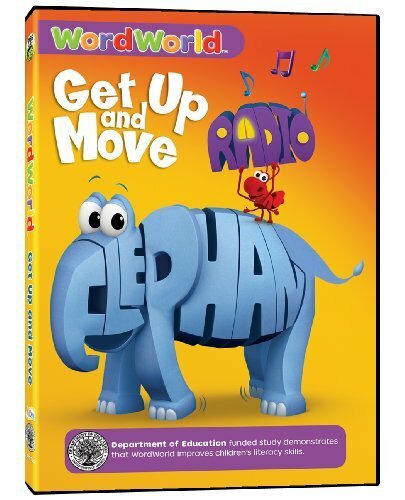 There are also WordWorld DVDs available, and I’m giving away their new one, “Get Up and Move,” which encourages children to exercise while also teaching them reading skills in a fun way. WordWorld was the only show that our grandson would watch when he was a year old. 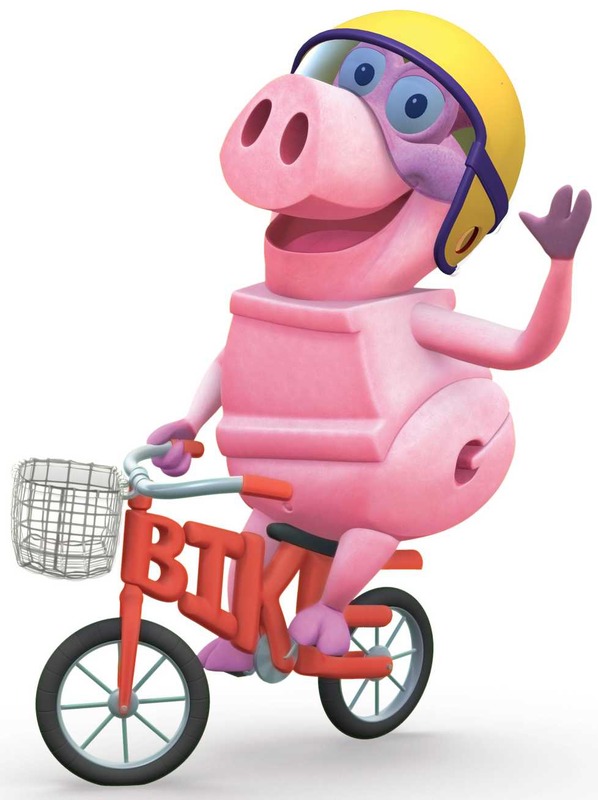 As a teacher who has taught many children how to read in first grade, I immediately fell in love with the characters and the influence I knew they must be having on young children learning their alphabet letters and sounds plus teaching them how to read words. Visit WordWorld – “Where Words Come Alive” and leave a comment telling me who is your favorite character. Must complete mandatory entry first! Leave a comment if you already follow or subscribe. 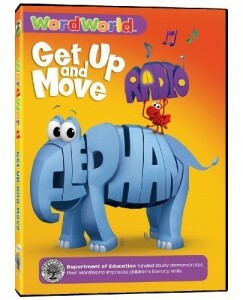 * WordWorld is supplying a DVD for this giveaway. I was not compensated monetarily for this article. This is my honest opinion. 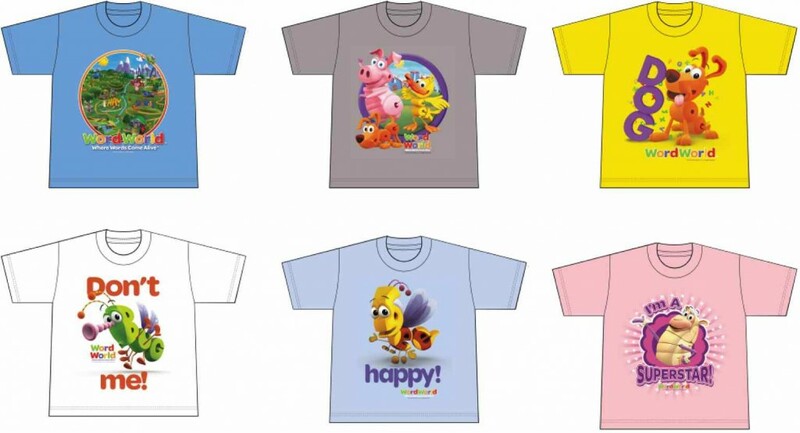 How would you like to win one of these adorable T-Shirts for your child? PopFunk is providing a WordWorld T-Shirt, shipping included, to the winner of this giveaway. Our daughter and s-i-l first introduced us to WordWorld when it was the only show that our grandson would watch when he was around a year old. Forget the other educational shows for babies and toddlers, WordWorld was the one that captured his attention. After watching it, I could see why. 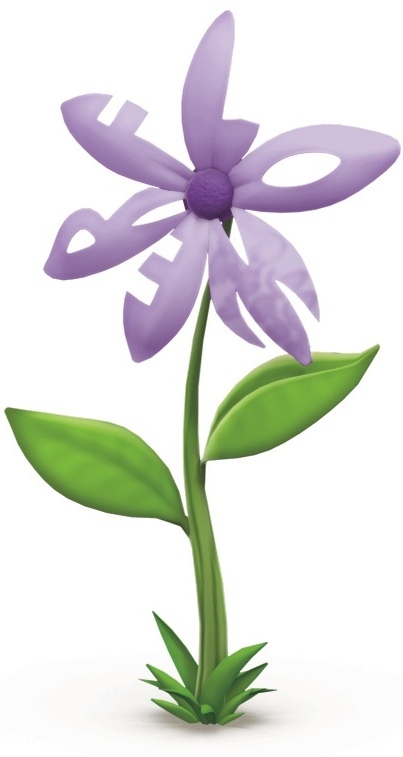 As an educator, I immediately fell in love with the characters on WordWorld and the impact I knew they must be having on young children learning their alphabet letters, sounds, and actually learning to sound out words and read. BONUS ENTRIES: Must complete mandatory entry first! Leave a comment if you already follow or subscribe. * PopFunk supplied one of their T-Shirts for a giveaway. However, I was not compensated monetarily for this article. This is my honest opinion.